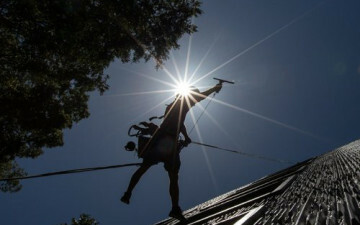 We have certified professionals ready to scale buildings of all sizes in Melbourne! Our friendly and professional staff will have your facility's sparkling in no time! Home, Office or High-Rise. Cam's Window Cleaning has you covered. 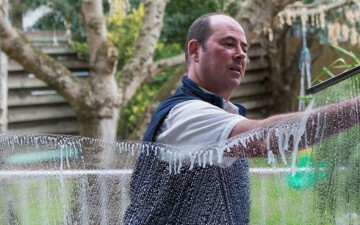 We offer 3 main window cleaning services in Melbourne. Let the light shine in. Crystal clear windows, brighten up your house. Not only will your home appear cleaner, clean windows will also enhance your views out over your garden, courtyard or balcony. Don’t leave window cleaning until just before a party or event at your home; keep your windows clean all year round. You’ll be amazed by the difference! If you operate a business in Melbourne and you need your windows to sparkle, please call us today for a competitive quote. Whether you manage, own or work in a high rise building, “Cam’s Window Cleaning” has a dedicated team of highly experienced and professional high rise window cleaners available. We can enhance the look of your building, as well as the view for occupants, clients, owners and residents. The business is fully insured and has a team of dedicated and courteous personnel who are able to service both commercial and domestic clients in the Melbourne metropolitan area. We offer a full guarantee on our workmanship and pride ourselves on our professionalism and commitment to quality! All of our team members have up-to-date Police Checks and Working With Children Certificates on file! We are confident in our professionalism and excellence of window cleaning services and want you to have the same confidence in our work. This is why we offer a 100% satisfaction guarantee on all of our work. 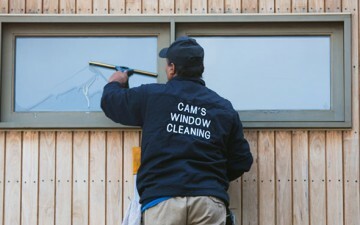 Cam’s Window Cleaning has over 15 years experience in the industry and has built a thriving business through friendly, quality service and attention to detail which is second to none. Contact Cam's Window Cleaning for your obligation free quote on domestic, commercial or high-rise window cleaning services.